Made Our House Hunting Experience Pleasant and Fun! 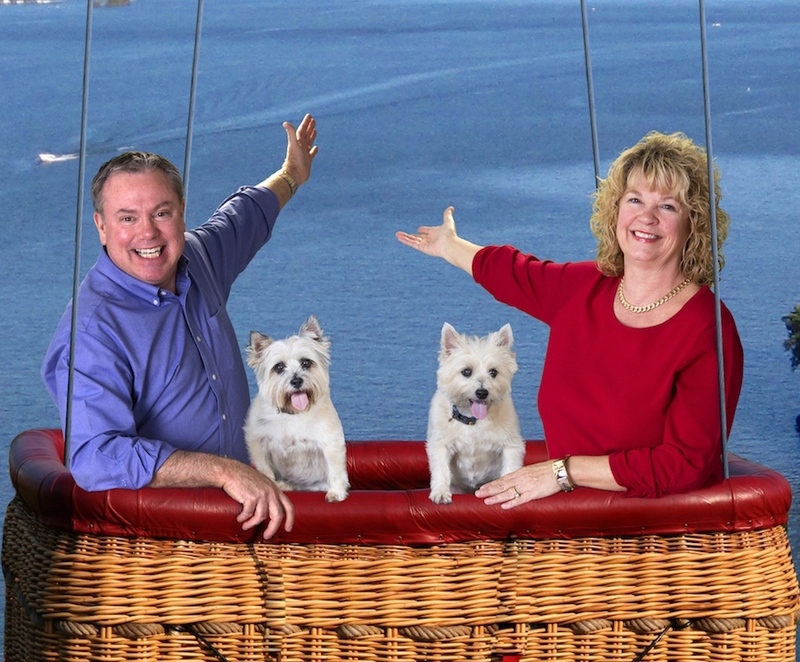 "We would like to share our experience with Gary Brennan as our realtor. We worked with Gary to find a lake house in the late summer into early fall of 2010. We found him to be very helpful and in tune to what we were looking for. He patiently took time to show us many homes on some of the hottest days in August and allowed us to look without feeling any pressure to push a sale. We found him very accommodating and he made our house hunting experience pleasant and fun. He would show us houses we chose and also have a few of his own picks for us to see. Interestingly, we ended up buying a home that he had picked out for us to see. He is very knowledgeable about the lake and is easy to work with. He always answers phone calls or returns calls promptly. He continues to offer us assistance even well after the closing of our sale. We would highly recommend Gary to our family and friends." "I recently chose you as my listing agent based solely on an internet search. My feeling is that your group seems to use all of the technology available to sell my home. I believe that an out-of-towner looking for a lake home will benefit from these resources." "Thank you, Stephanie! We Love it!" "Awesome people and service, 100% satisfied, Stephanie and Renee." "Gary-We have known you for a # of years now and whatever different capacities. It has always been a pleasure in our associations. We also consider you a very good friend." "Thank you Gary for all the help you gave us. I know you made it go so much easier for us." "We had an Awesome Buying Experience!!" "Gary is the best agent. He is very knowledgeable and compassionate about real estate as well as the Lake. It was a most enjoyable experience working with him to find a Lake home." "We just closed on our house, but I am very confident that Gary will always be there for us now and in the future. "Thanks so much! We are enjoying our new Lake place!" "You guys did an excellent job! We couldn't be more happy with the service you provided. We look forward to becoming your neighbors and friends!" "We would like to thank the Brennan Group for their extreme professionalism with a personal touch. Their knowledge of the real estate business and attention to detail made selling our house easy and would definitely recommend and use again in the future. Pleasure to do business with them." "You made house hunting a pleasure. We had a ball! Thanks for taking the stress out of it!" "We are extremely glad we chose The Brennan Group for our Real Estate needs!! Stephanie made the whole experience easy and delightful. We will highly recommend her to others. Thank you so much." "Great Job!! Thanks a lot!" "Did a great job for me!" "Thanks for hanging in there for years with us! Love our House!" "Stephanie is the best!! We looked for over a year and she was always helpful and available." "We appreciated all of Gary's honesty regarding properties. He was patient and very flexible to work with our schedule. Knew Exactly What We Were Looking For! "Thank you Stephanie for all of your hard work! We appreciate your ability to know and understand us and help us fine exactly what we were looking for." "It was a pleasure to work with you! Stephanie, you are very knowledgeable and professional. "I have a new friend at the Lake!" "Thanks Stephanie and team for all your help. You stuck with us for a few years and made everything come true. Thanks again. We were really pleased with The Brennan Group and definitely Stephanie." "A very pleasant Experience. Would work with Gary anytime!" "Thank you for your work! We appreciated your extremely quick response to our questions!" "Thank you for your help! Have a great year!" "Thank you Stephanie for all your help. You did a great job leading us through this process. "Thanks for all your help and perseverance!" The Brennan Group gets our vote to be "Voted #1 Lake Realtor Group"
""They sold our home a few years back and we said we would return and we did. They did such a great job selling that we came back to them in hopes of finding a new place for us at The Lake. With Gary's help we found it and purchased our first condo. They proved to be the best for all our real estate needs. I would recommend The Brennan Group to everyone. Gary and Stephanie are the best agents for you. They are experienced professionals who will listen to you, conduct themselves in an ethical manner and know the market. Thanks again for everything and hope to have wine on the deck with you guys soon."" "They were very responsible and always answer your phone calls, day or night! Very thought worthy people and friendly." "Stephanie was a great help to us. She is very good at her job. We feel like we have made a friend that we can trust. The whole experience went real well. Thanks Stephanie." "The Brennan Group was easy to get in contact with and always very responsive. They understood my needs and continued to help me after closing." "Gary helped make some difficult situations almost humorous at times." "Stephanie is wonderful. Answered every question I had very quickly." "Stephanie is a wonderful & knowledgeable agent. When I needed her she was ready to help and answer any questions. Thank you for keeping me calm!!!" "Gary was wonderful to work with. Always very professional, thorough and personable with a sense of urgency. We would highly recommend his team. Thanks for making this such a positive experience."